Gallup, New Mexico, United States. Annual Gallup Intertribal Ceremonies. Indian cowboys on the Navajo pro circut. 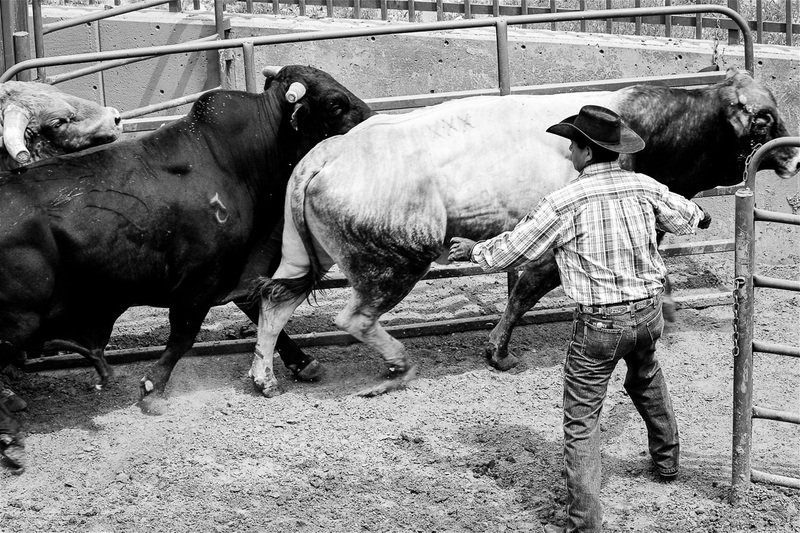 Getting the bulls into the chutes.